Turn your A5 into the amazing SOCOM machine gun! 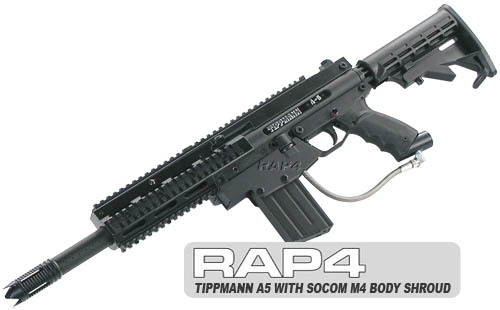 Turn your Tippmann A5 into a SOCOM gun with this magazine. This shroud is made of 100% solid metal - quick and easy to install. 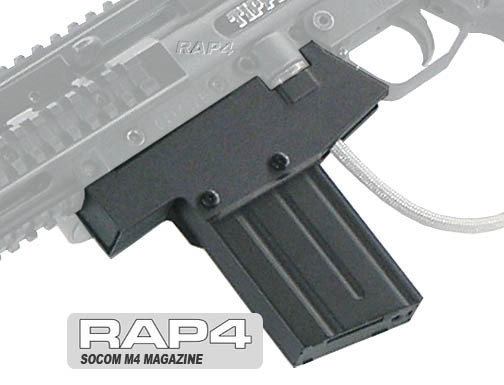 This SOCOM M4 magazine will fit either the older or newest version of the Tippmann A5; please choose the version you need from the options below.